Amartya Sen argues that “critical agency is important in combating inequality of every kind” and that it is 'pivotal' to human development. If this is true then any digital development initiative that is concerned to combat inequality or otherwise contribute to human development will want to make critical agency part of its process. So what is 'critical agency'? Critical agency is people's ability to critically analyse their own social circumstances in ways that inform their agency to act and transform the situation. The term is derived from a contraction of Paulo Freire's twin emphasis on building people's critical consciousness and their sense of agency in his classic text Pedagogy of the Oppressed. Paulo Freire emphasised the need for people to be conscious actors in their own development and not the passive recipients other people's diagnoses and remedies. Amartya Sen's conception of human development aims at such an 'agency-based' process in which people are themselves the principle protagonists in their own development. In Development as Freedom, Sen argues forcefully that people have reason to value being agents of their own development rather than “be seen primarily as passive recipients of cunning development programs”. If we aspire to a digital development in which people are the authors, architects and arbiters of their own development then enhancing critical-agency needs to be central to ICT4D. Creating space for people to critically assess and transform their own situation necessitates an ICT4D which is human-centred and process driven rather than techno-centric and product driven, as I argued here. Decentring technology does not mean that there is no role for ICTs in development - not at all - but what it does mean is that technology should neither be the starting point of the process nor considered to be an end in itself. ICTs can potentially play a positive role in digital development - not least in enhancing critical agency. This is desirable at both key moments of building critical-agency - that of critique and action. In the first moment people can use ICTs to critically reflect upon the root causes of experienced inequality. In the second moment ICTs can be used by people acting together to transform the situation. ICTs can be used to amplify existing capacity and intent with respect both to critical reflection and analysis and when people act together to transform their situation. In my own research with Asikana Network in Zambia, the ICT of participatory video proved to be a powerful use of ICTs to critically analyse the root causes of women's under-representation in Zambia's technology sector, and was later used by women to act together to challenge the existing situation. 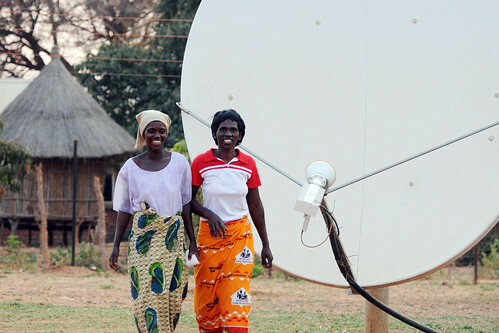 Asikana members used digital film-making as a means to investigate the discrimination and disadvantage experienced by women in Zambia's male-dominated ICT sector. They also used the process to challenged men's gendered attitdues and used their new knowledge to inform the on-going activities of the Network. The process also acted as a catalyst for Asikana members to produce a Women's Rights App, (WRAPP) which was later adopted by internet.org. Enhancing critical agency is one practical way that people can employ ICTs to enhance their own understanding of the inequality and injustice that they experience and act together to transform their circumstances.